It can be difficult at times buying a perfect gift, especially for men. Well, why not a pair of cufflinks from Off The Cuff? Off The Cuff sell unusual cufflinks from their Etsy shop online. The owner of the shop Pete started making and selling cufflinks in 2010 as a creative outlet from his day job. Since then his Etsy shop has grown well and sells over 170 different cufflinks. From fidget spinner cufflinks to silver meteorite cufflinks to watch movement cufflinks, you know that if you buy a pair of cufflinks, they will be unique and no one else will have the same. 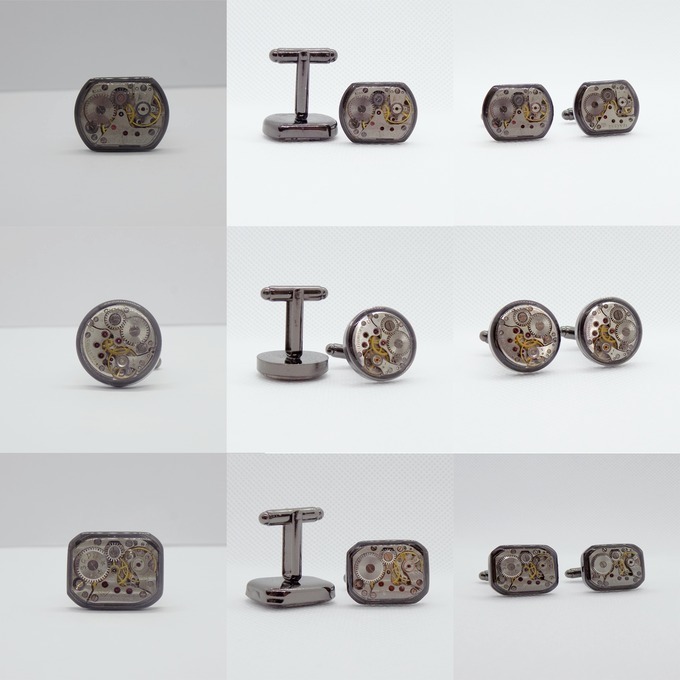 The watch movement cufflinks are made from vintage mechanical watches, some up to 50 years old. The watch parts are carefully cleaned and polished and set in epoxy resin which protects the movement and the dome concentrates light which really makes the detail stand out. So unusual and different, don't you think? At the moment Pete has a Kickstarter campaign running to buy equipment to make the process of creating the cufflinks easier, check it out. For a little over £20 you can get a pair of these cufflinks if you pledge on the Kickstarter campaign. Today on my blog you can win a pair of the prototype cufflinks made for the Kickstarter project, perfect as a graduation gift, or birthday present. Entry is via the Gleam application below. It's straightforward to enter honestly, just register, leave a blog comment and click on the ways you wish to enter. Why don't you bookmark the page and come back for a daily entry? Good luck! I like the Round Industrial Watch Movement Cufflinks. Love all the watch movement ones - especially the steampunk watch movement silver tone ones. Rare rectangular swiss made watch movement cufflinks - Hubby would love these. I like the Fidget spinner cufflinks with ball bearings and silver. The 'Stunning round watch movement cufflinks ideal gift for a wedding, birthday or anniversary 83'. Wow - they're very steampunk. the fidget spinner ones are very cool! I love the fidget spinner cufflinks, I think my partner would really like them too! Much nicer than my partners current one! What a fun and different range. The Silver Meteorite cufflinks are very appealing. I love the space dust cufflinks - very cool! I love the Space dust cufflinks particularly, but all the watch ones are marvellous too! I really like the space dust cufflinks they're so different my partner would love them! The handmade fordite cufflinks are my favourite! They're very pretty. I've not seen many steampunk cufflinks, they're cool. Fidget spinner cuff links are great! I love the Round Industrial Watch Movement Cufflinks! The silver fidget spinner cufflinks are great. I like the fordite ones. I love the yellow fidget spinner cufflinks! The space dust cufflinks are my favourite but my brother in law would love all of them! My favourite has to be the Space dust cufflinks - own a little piece of space. Hubby would love the Rare rectangular swiss made watch movement cufflinks - So amazing! Love the oval steampunk ones. The round industrial watch movement ones - my husband would love these! omg, my hubby would so love these! I love the stylish Round cufflinks. Rectangular Industrial Watch Movement Cufflinks, would love these for my other half as he loves his computers and technology! 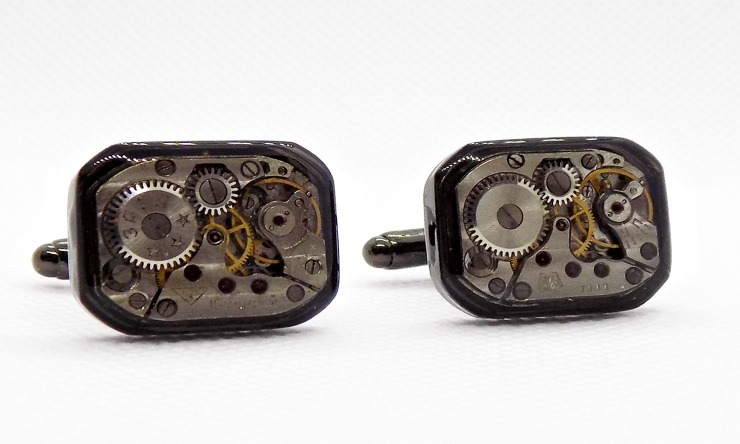 These cufflinks are awesome - love the watch movement ones! Love the retro steam punk look. I have just added the rectangular ones to my husbands Christmas list, they would suit him perfectly. The Silver Meteorite cufflinks would be perfect! So unusually pretty! I love the silver meteorite cufflinks. I like the watch movement cufflinks. Very cool. My favourite are the Round Industrial Watch Movement Cufflinks with genuine made watch movements 77. Great and very interesting. Wow - they are all so intricate. I love the Circular Watch Movement Cufflinks. My husband would love these too! These are great too - Ball Bearing Cufflinks - Spinning wheels. I love the round Space dust cufflinks - own a little piece of space. I know my hubby would love them. He loves the unusual. l adore the Silver Meteorite cufflinks ideal wedding ring accessory. They are amazing! But all the cufflinks are magnificent such works of art!. Rectangular swiss made watch movement cufflinks. Perfect for my Dad! My husband would absolutely love the Space Dust Cufflinks for our vow renewal ceremony next year. https://www.etsy.com/uk/listing/94737080/rectangular-industrial-watch-movement?ref=shop_home_active_15 they are so steampunk! The space dust cufflinks are fantastic, my science teacher husband would love these. I like the Rectangular Steampunk Cufflinks. 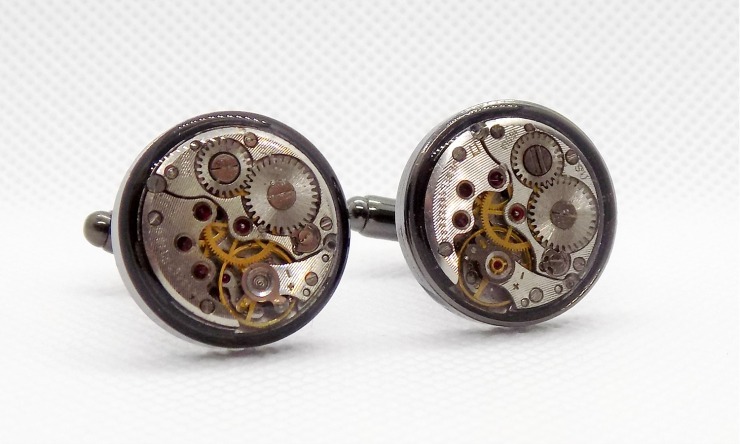 The oval steampunk cufflinks are so nice! I love the Steampunk cufflinks with genuine 17 Jewel rone watch movement. They are all amazing!! What is Life Coaching and How Can it Benefit You?